You never know when a natural disaster could strike. So be prepared. 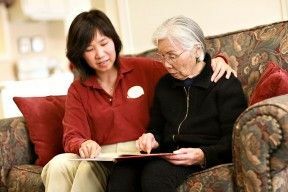 If you are the caretaker of a senior with dementia, and you are unable to be with them or somehow get separated, make sure this free downloadable form is packed with their survival necessities that include: A 4-day supply of medicines, energy bars, bottled water and clothes, and out-of-town contacts – all in a backpack to grab and go if necessary. Keep this form in your emergency kit to help a loved one with dementia or Alzheimer’s if disaster strikes. Contact the Aegis Living community near you to learn more about planning for a crisis or emergency.